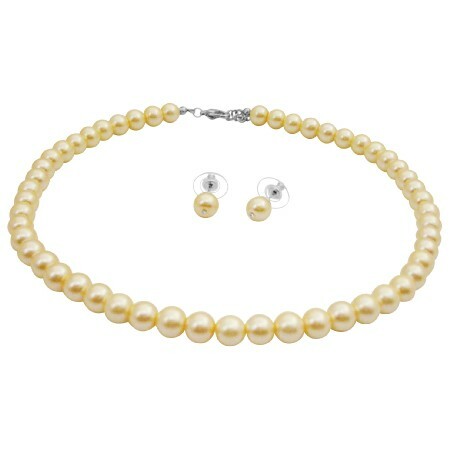 You are looking at a beautiful Pale Yellow 8mm Pearl Jewelry Necklace with stud earrings. It also makes an ideal gift including necklace bracelet & earrings which can be worn together or separately for your own unique look. Enjoy celebrity look with our new collection of stylish wedding prom wedding jewelry set. This perfect Pale Yellow pearls bridesmaid jewelry set makes great bridesmaid jewelry for your bridal party.